The collection of Best Practices on waste prevention and management brings together circular economy tools that improve the state of the art for municipalities. They serve as examples for municipalities in developing their own circular waste prevention and management strategies. When developing the assessment criteria and format of the template, a number of key elements were taken into account: the needs of the municipalities, the context of the project, the background of the partners and the EU Tools – European Commission Directives and handbooks. The Best Practices collection thereby addresses the needs of municipalities in waste prevention and management. It puts replicability, innovation, relevance for urban metabolism, effectiveness, sustainability and stakeholder engagement central. The Best Practices are heterogeneous, covering different EU countries, waste hierarchy areas, relevant waste streams for local authorities, tools and policy types and economic sectors. The full report can be found on the UrbanWINS website. This report is an important component of the UrbanWINS toolkit to be developed as final result of the project. The toolkit will serve urban policy makers, offering them strategic and operational tools to better address urban waste policies in relation to urban metabolism processes, by using participatory decision-making processes. It will also address various urban stakeholders (such as NGOs, engaged citizens and community organizations, technology providers etc.) that can develop innovative urban waste prevention and management actions in collaboration with local authorities. Guidelines for the selection and implementation of adequate stakeholder engagement techniques. Ecoteca and Global Innovation Solutions put together the collection of 50 Best Practices, with the support CTM, IUAV, Cree, Consorci del Bages, Linea Gestioni, Ecosistemi, SERI. Identified suitable actions for piloting purposes (at least 3 for each city). Each pilot city has developed a Strategic Planning Framework (SPF) and the Local Strategic Action Plans (LSAP) are being finalised. As for the SPF, the introductory part of the UrbanWINS Deliverable 4.2, published on the project website (link), gives a good overview of the Plans’ contents. The first phase of the participatory process resulted in each of the pilot cities identifying a selection of „TOP 6 actions”. This was completed in March 2018. Between the end of March and the beginning of May 2018, participants evaluated these TOP 6 actions and defined a group of 3 actions to be selected for pilot implementation. The comparative methodology used in these Face to Face Agoras allowed participants to compare actions two by two by type of tool (voluntary measures, regulatory measures and awareness raising measures) and at the end of the process, each of the eight pilot cities came up with TOP 3 actions to be implemented. Pilot cities are now implementing different actions. 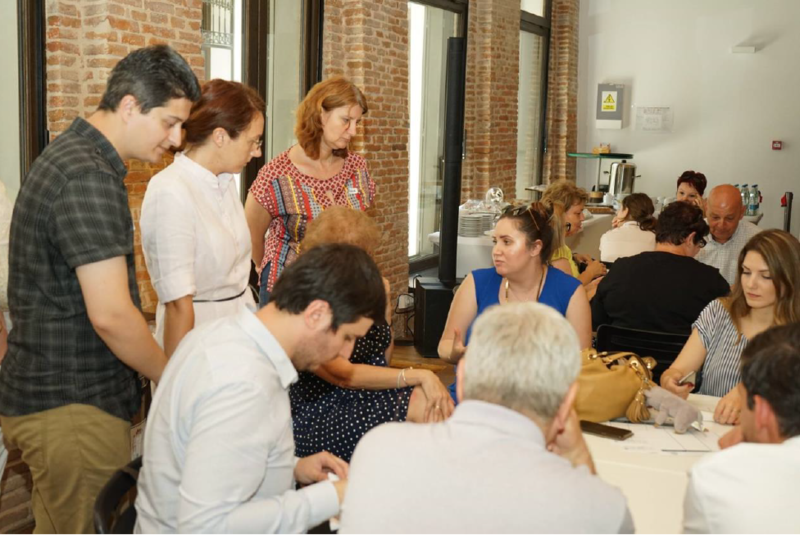 After the implementation, stakeholders will meet again at the urban agoras to discuss the results of the pilot actions and evaluate their effectiveness. From participatory sessions to actions! Pilot cities have accomplished their last step of the participatory process to set up the UrbanWINS Pilot Actions. In the last round of the Face to Face Agoras stakeholders worked on how to evaluate the Pilot Actions: the Evaluation Plan. Pilot actions are now being implemented in each city by the municipalities. Join and get involved! You can also follow the actions development through the Online Agoras Platform. In the first quarter of 2019, stakeholders will meet up again, now to evaluate the pilot actions implementation! UrbanWINS European Advisory Board member, the European Environmental Bureau (EEB) has launched a Europe-wide product reuse campaign. Together with a range of European NGO’s the EEB calls on policy makers to take measures to ensure products placed on the market are designed to last and be repaired. For more information on the campaign check EEB’s website. 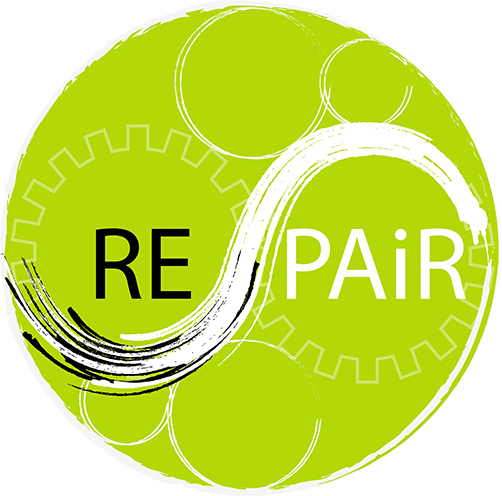 Check out REPAiR – UrbanWINS’ sister project with a research focus. The objective of REPAiR is to provide local and regional authorities with an innovative transdisciplinary open source geodesign decision support environment (GDSE). This is developed and implemented in living labs in six metropolitan areas. The Metropolitan Area of Naples is one case study for the REPAiR project, a strategic area in the peri-urban concurbation, where waste flows and wastescapes shape the territory. The research will result in a co-design/co-production of Eco-Innovative Solutions and Strategies to solve waste management issues and regenerate wastescapes. Find out more on the REPAiR their website. Both cities Cremona and Bucharest have been busy involving their citizens in planning initiatives that tackle urban waste. The series of public Agoras held in the cities is now coming to an end – with some phenomenal outcomes. Learn the latest from bloggers Valerio (Cremona) and Matei (Bucharest). Valerio from Cremona regularly reports on the city’s projects regarding waste management and citizen participation. You can check out his posts on the online agoras (log in required). The latest initiative, called „piccoli passi” is a game set up for school children that encourages them to save and separate waste. Cremona is also heading for zero food waste with two initiatives. It joined the “No waste” association, which promotes an app to connect citizens to restaurants and food vendors with food surpluses – encouraging the citizens to buy nearly expired food. And as part of the „Keep the rest” initiative restaurants were handed aluminum boxes to let customers take home the leftovers from their meal in reusable containers – avoinding food waste and packaging waste at once. Cremona was also invited to SUM 2018, a symposium on environmental sustainability that was held in Bergamo, to talk about UrbanWINS and their choice of pilot actions. Matei from ecologic magazine reports the latest outcomes of the urban Agoras in Bucharest. Citizens came up with plenty of ideas to tackle urban waste and eventually selected three priorities: Waste separation at public events, awareness campaigns around reducing waste in public schools, and a plan toward zero food waste pilot action in restaurants. Read more about these amazing outcomes on his website (In Romanian). The next UrbanWINS webinar is all about cities experiences in selecting and implementing innovative circular waste management policies. We zoom in on the UrbanWINS pilot cities Torino and Leiria and will hear about their activities on the ground. And we will hear how cities can learn from each other: The participants of the UrbanWINS exchange program CityMatch are interviewed about their experience visiting a new city and learning from their colleagues about waste prevention and management. 3. On the registration form, enter your information and then click „Submit”. Annual conference of the European network of cities Climate Alliance. Fondazione Ecosistemi has been invited to present the UrbanWINS approach in the side session “Connecting Circle: Co-creating circular cities and regions” on 02 October 2018 (11:30 – 13:30). International Conference on sustainable and innovation procurement. The congress of international reference, organized by the Consortium for the Treatment of Solid Urban Wastes of the Maresme, together with the Generalitat of Cataluña and the Diputación de Barcelona, and in collaboration with various public and private entities. The main goals and the status of pilot actions in Manresa and Sabdell (UrbaWINS pilot cities) will be presented in this congress. UrbanWINS Italian national conference will be held within the framework of a bigger event that is the Forum CompraVerde-BuyGreen, International fair and conference on green procurement. UrbanWINS project partner CTM is organizing a national conference in Sabadell (Spain). It is inviting project partners and local governments to learn about innovative ways of waste prevention and citizen participation. UrbanWINS project outcomes will be presented and new models of waste management that promote infrastructure for a circular economy are showcased. To find out more, contact UrbanWINS partner CTM. Copyright: All articles and images in this publication – except for the information regarding the REPaiR project for which contact with the REPaiR consortium is required – can be replicated and built upon, however they must be attributed to the UrbanWINS project. Copyright © 2016, ICLEI – Local Governments for Sustainability l All rights reserved.